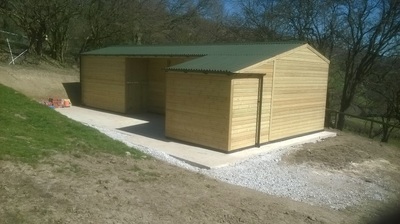 Country & Leisure offer both off the shelf, ready to go solutions as well as a popular customised range... 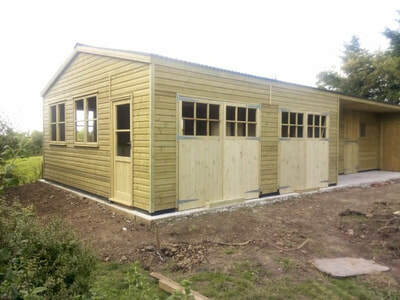 Please don't hesitate to present your requirements. We pride ourselves in a very quick turn round on any enquiry. 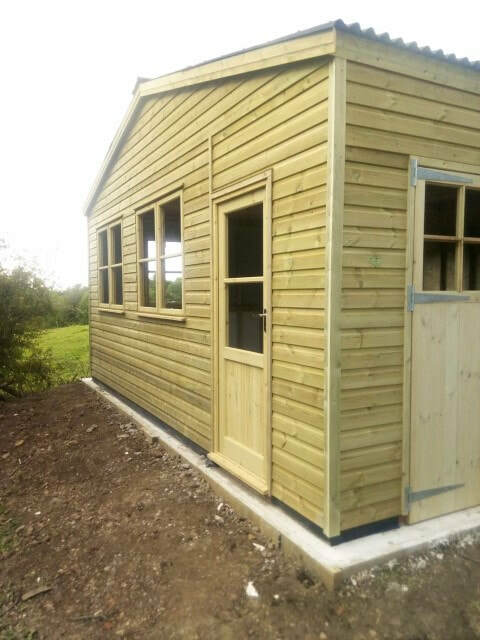 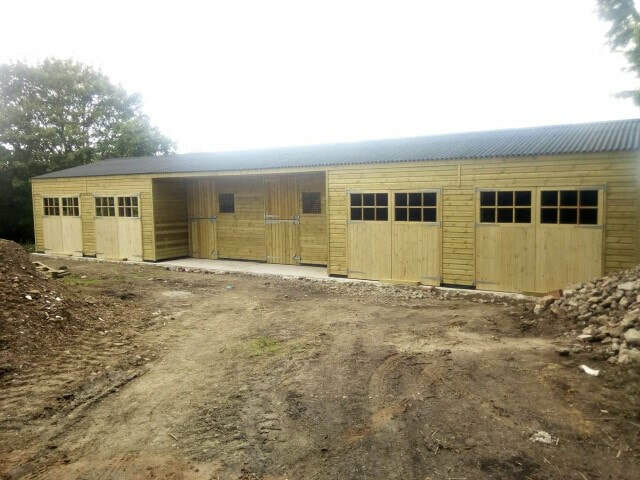 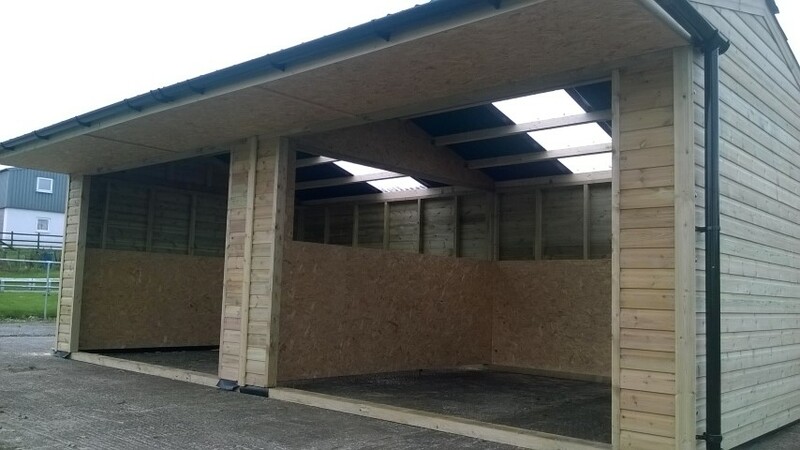 We try very hard to create a durable, hardy and good looking buildings with great detail to on site workmanship to safeguard your buildings against the elements and housed animals. 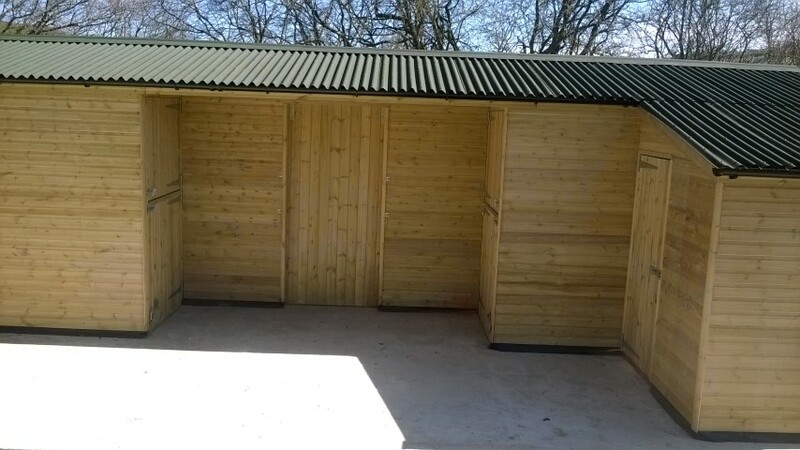 We have been offering solutions for over 15 years. MOBILE FIELD SHELTERS : FREE METAL TOWING FRAME UPGRADES, limited stock. 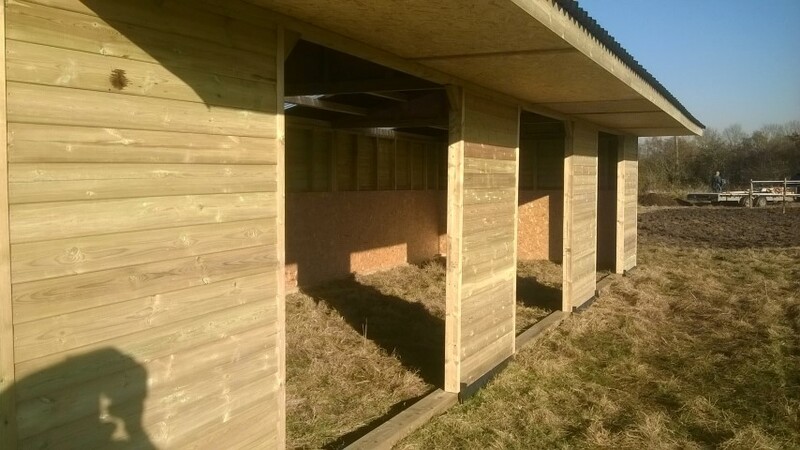 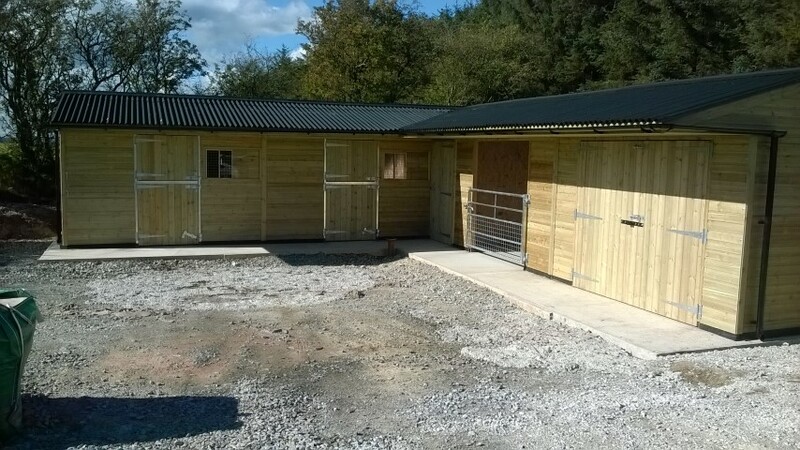 Popular quality timber build that is adaptable for not just horse use. Can be made mobile. 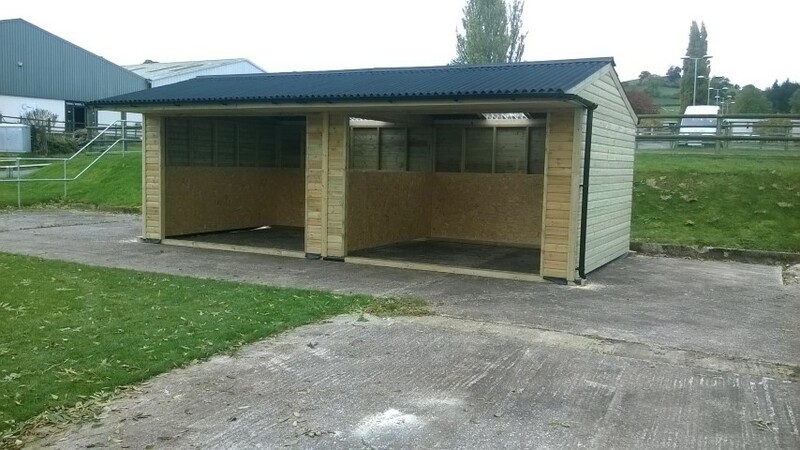 Popular double field shelters, this is a 24x12 with 3ft overhang, Onduline roof and skylights, on basic wooden skids as there was no plans to move it. 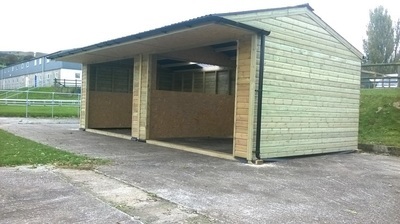 Metal towing frames are available for towing purposes. Lined to 4ft throughout but fully lined to front panels for added strength. More detail on mobile shelters. Garage Complex Project. 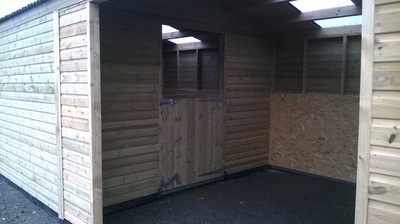 - Sample of bespoke work we are able to carry out. Barn Style stables. 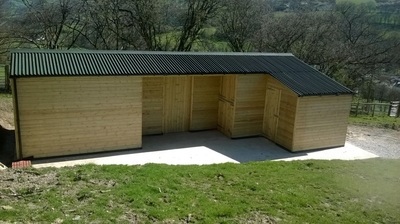 Recently assembled near Wrexham, North Wales. 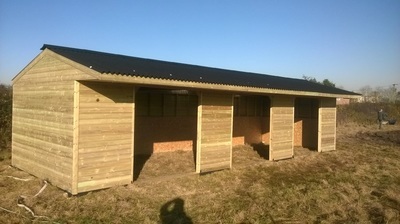 3 bay shelter. Assembled on wooden skids this is our 36ft x 12ft shelter with overhang. 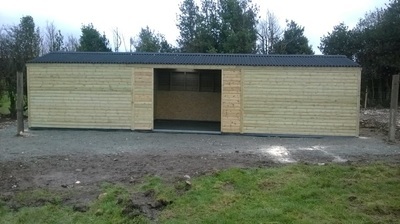 Bespoke Timber building to incorporate stables and storage space. haybarn had a sliding internal door fitted. 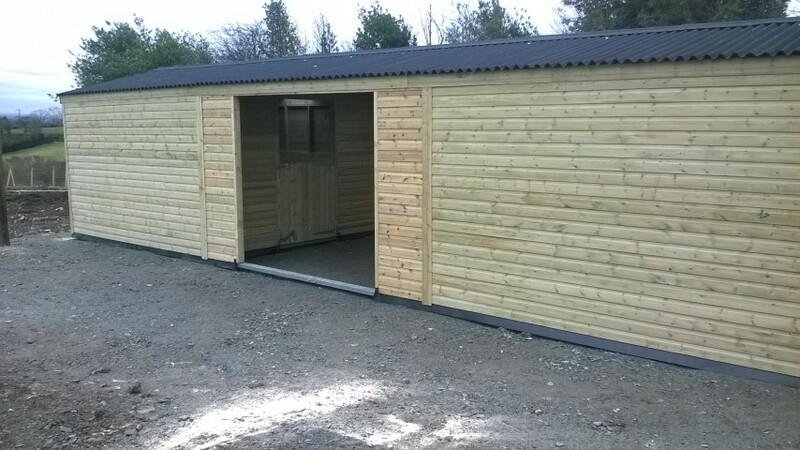 A recent bespoke stable and barn solution with and additional lean to based in Borders of Wales and England. 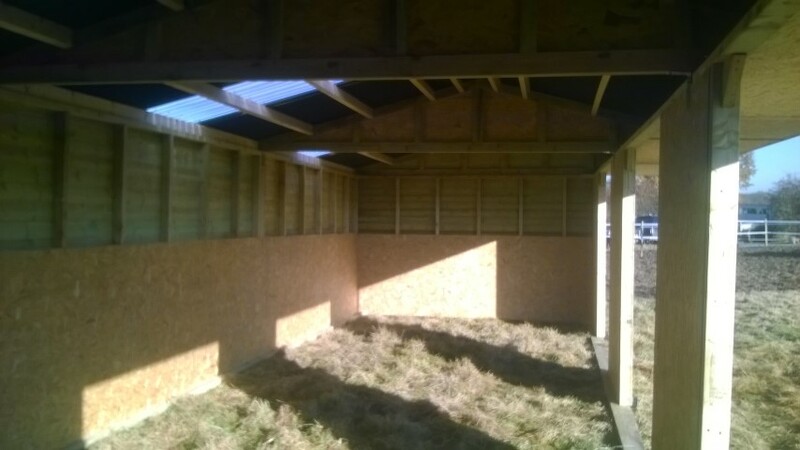 Below a large open fronted Field shelter with a divide wall to section into 2 no 12ft bays.